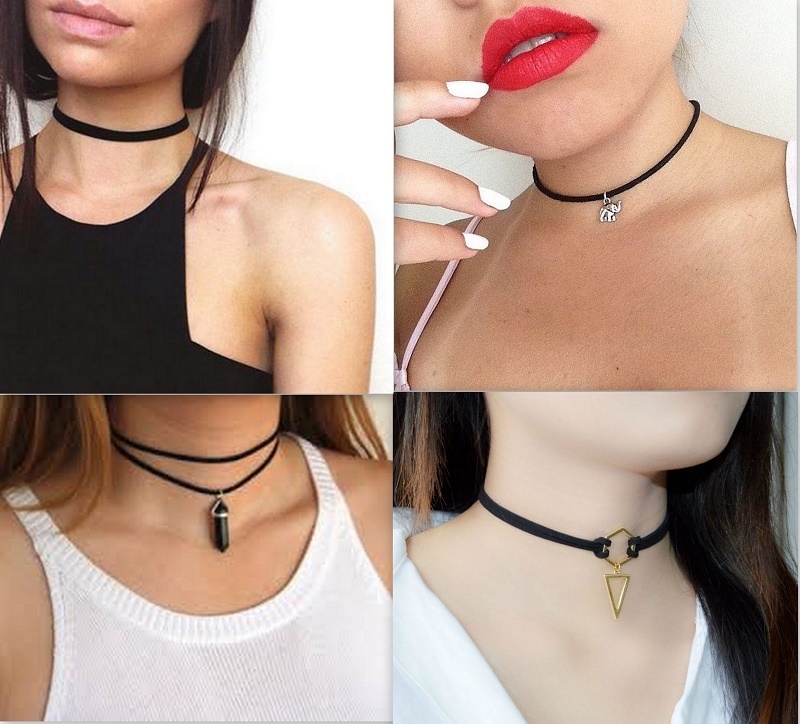 Another weekend another trend talk ;) This one you probably already seen and tried for yourself - choker necklace. Yes they made a huge came back from the 90s but with a modern twist and in all shapes and sizes! I'm showing you here just a few versions I've seen and that I love. 1. 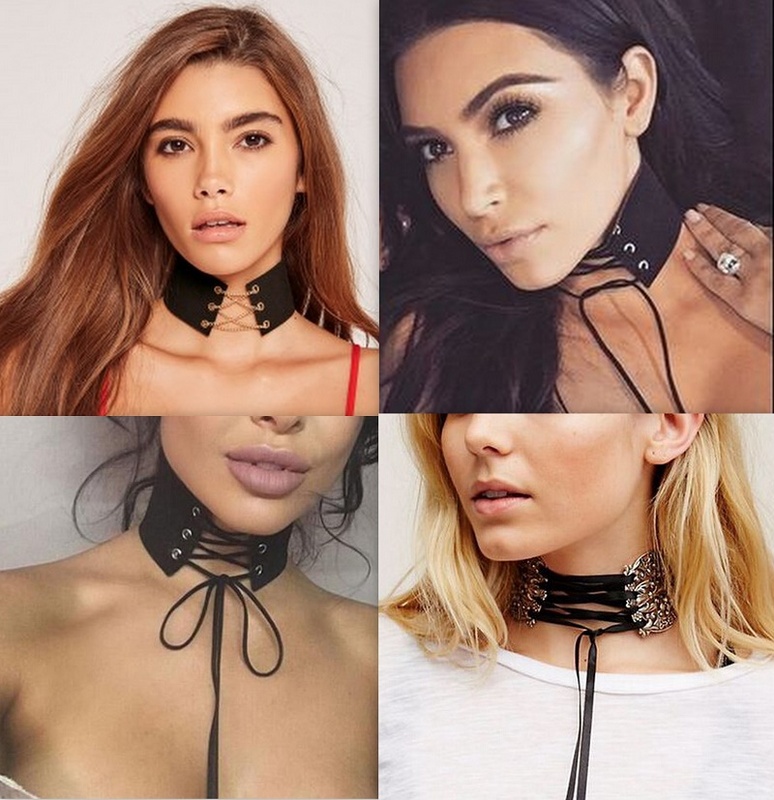 LACE UP CHOKERS - The newest version is the lace up ones that even celebrities are rocking. They are so hot and trendy but bit bold and out there, maybe not for everyone's taste. 2. CORD CHOKERS - I really like the cord chokers cause you can wear them in so many different ways and styles, wrap them around your neck and let the ends lose or tie them in a bow or knot. 3. 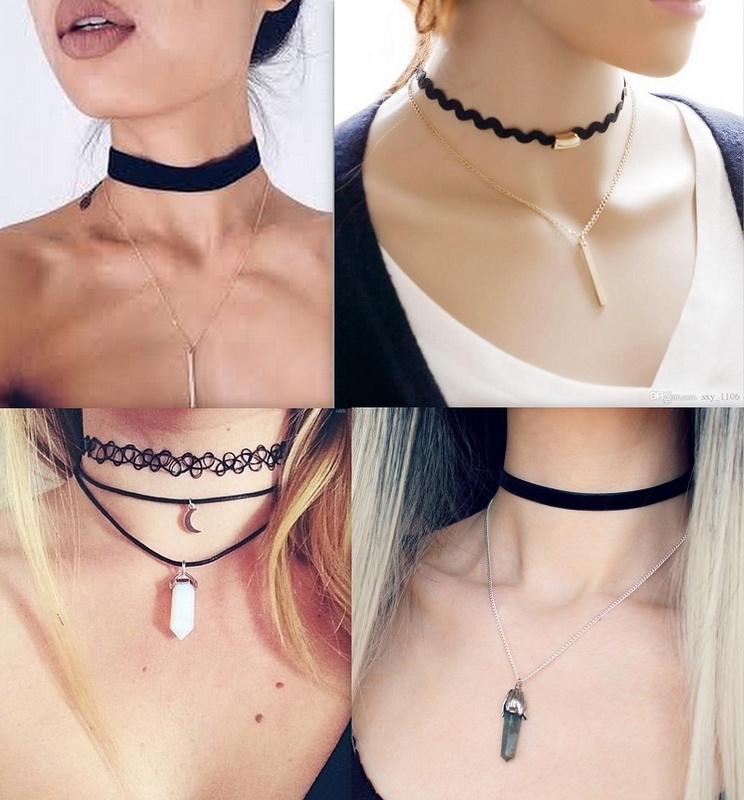 LAYERED CHOKERS are cool as well, you just layer couple of chokers together. Cord with silver or gold ones or just a couple of black ones, let your imagination do the job. 4. SIMPLE SINGLE CHOKER - You can always wear a simple dainty ones for an everyday look. 5. LACE CHOKERS - for a romantic night out ;) And best thing of all is that you can easily make one yourself with some materials you probably already have around the house! P.S. An additional one that I forgot to mention would be a bling bling choker for when you are feeling extra fabulous 😉. What do you think!? Which one is your fave! ?